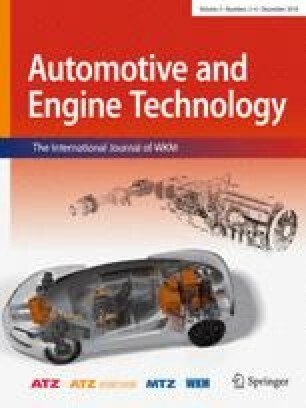 This paper presents an approach for linking the vehicle concept design in the early phase of development with findings from the forecast of mobility behavior under the boundary conditions of a future scenario for Germany. The focus is on an objective and data-based methodology for the derivation of design premises for vehicle concepts, illustrated by using the example of a commercial fully automated on-demand fleet. Today, vehicle concepts are designed on the basis of technical premises derived from the customer requirements of the relevant target group determined by market research and the competitive comparison. Technological trends (e.g., fully automated driving) and business model innovations (e.g., mobility as a service) have the potential to change the individual mobility behavior of users significantly so that today’s vehicle concepts will no longer meet the future requirements. Thus, the conventional approach of determining design premises for vehicle concepts alone may no longer be appropriate. Therefore, as the starting point of the overall methodology, the future mobility behavior is simulated in an aspatial travel demand model. By converting the simulated mobility behavior into relevant design premises and using a cluster analysis adapted for the specific application case, total vehicle concepts are objectively derived and optimized regarding the coverage of mobility needs. The concepts are scaled taking technical concept leaps into account. This application example shows that almost 85% of urban autonomous car sharing trips can be covered using a vehicle concept with significantly reduced requirements. Based on the scaled vehicle portfolio and the respective relevance of covering mobility needs, a recommendation for an efficient fleet design can be made.